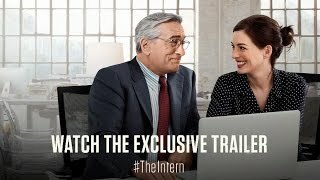 Megan Garber There's something powerful in that, in the simple fact that The Intern is so sympathetic to its older character-so resolutely on the side of a person who might, in other contexts, be dismissed or ignored or, as is so often the case, invisible. 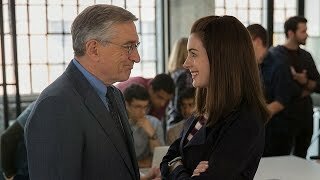 David Sims Thanks largely to performances by De Niro and Hathaway, The Intern is a gentle, enjoyable fantasy-and certainly Meyers's best film in more than a decade. Richard Brody This earnest, effusive haut-bourgeois fantasy, by the writer and director Nancy Meyers, runs roughshod over rational skepticism with the force of her life experience. Bilge Ebiri The Intern degenerates into a series of monologues about ambition and relationships and having it all. As the speeches pile up, our goodwill dissipates, and so does the film's magic. Lindsey Bahr In keeping everything so polite, The Intern, while being a pleasant and watchable movie, is also entirely ephemeral. Maybe that's why, like Meyers' other films, The Intern will likely be so re-watchable, too. Wesley Morris There's not much here story-wise. But when Meyers wants to write an involving scene with characters thinking and feeling the way humans think and feel, you want to applaud. L.V. Anderson Nobody does visually pleasing, occasionally funny escapist entertainment about goodhearted rich people trying their best to do the right thing better than Nancy Meyers. Stephen Whitty "The Intern" is like one of those candies you put in your mouth that starts off tasting sweet - until it suddenly turns lip-puckering sour. Peter Travers It's not much of a movie. But raging bull Robert De Niro, suited up to play for humor and heart, proves he can be a world-class charmer.